On 21 and 22 September 2016, Christie’s will be selling the private collection of president Ronald Reagan in New York. To my surprise the collection includes an African object! This Dan statue (illustrated below) was once in the family residence of the Reagans in the White House, Washington D.C. Surely there must be a photo somewhere showing the statue there. Unfortunately the provenance of the statue remains undocumented, but I would guess it was a diplomatic gift – Reagan did meet Liberian president Samuel K. Doe in 1982, celebrating 120 years of diplomatic relations. 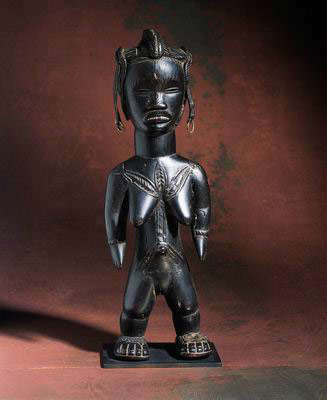 Dan figure (Liberia). Wood. Height: 20 in. (51 cm). Est. $ 8,000-12,000. Image courtesy of Christie’s. 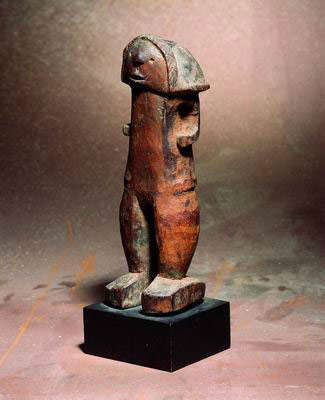 This female statue can be attributed to the workshop of the artist Zlan (or Sran) of Belewale (Liberia), without doubt one of the most famous Dan-Wè artists of the first half of the 20th century. The influence of his unique style was felt in Dan, Mano and Wè towns in Liberia and Ivory Coast. 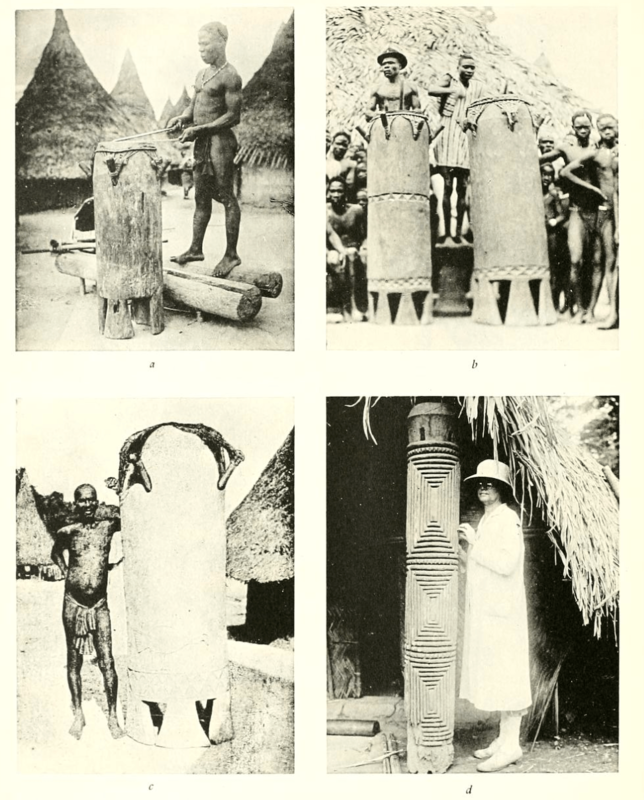 Zlan’s career is well documented by Hans Himmelheber: he carved for many wealthy men and chiefs, teaching many pupils from both the Dan and Wè peoples. This large number of apprentices, copying the work of their master meticulously makes it hard to identify the hand of Zlan with absolute certainty. Unique among the Dan, one of the wives of Zlan is also know to have carved spoons and other objects in his style as well. Eberhard Fisher wrote extensively about Zlan in “Les Maîtres de la sculpture de Côte d’Ivoire” (Paris, 2015: pp. 128-138). 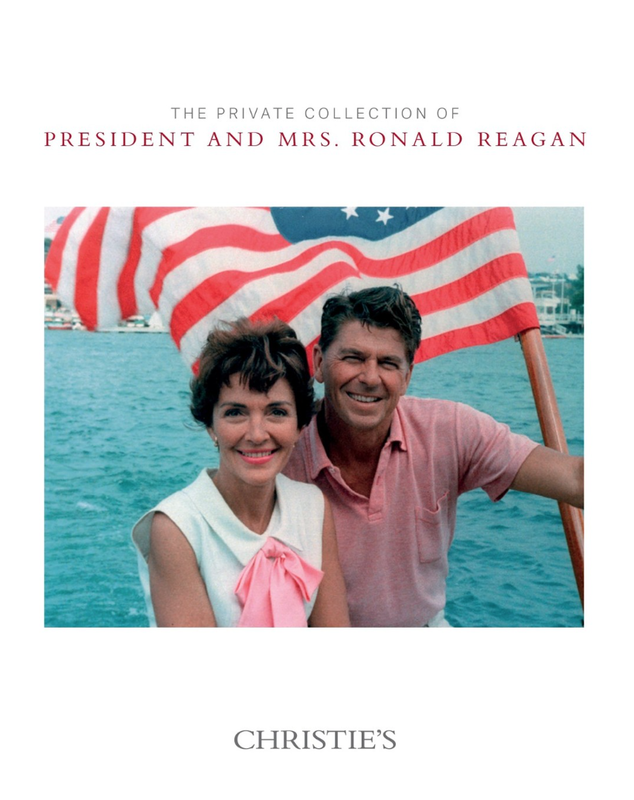 ps You can browse the complete catalogue of the Reagan sale here. There are some other amazing objects in the collection, for example “an evocative relic symbolizing one of president Reagan’s greatest foreign policy achievements: a signed fragment of the Berlin wall” 🙂 More than 700 pieces of historic and personal memorabilia will go up for sale! This entry was posted in Auctions and tagged Dan on August 26, 2016 by admin. Wè miniature mask, Ivory Coast. Height: 12 cm (34 cm with beard). Peres Projects Collection. After picking the name of our daughter, I was very pleased to discover there was a link with African art. Garance, except for a beautiful first name, is the name of a plant, the madder, belonging to the coffee tree family (the Rubiaceae). Madder, well characterised by its clinging leaves, has been grown for ages to produce a red dye from its roots. This dye was used to color the garance red trousers of the French infantry uniform, introduced originally in 1829 (in an attempt to boost the madder-growing industry). With the start of World War I, the high visibility of these trousers became a liability and they were discarded. To this day, some soldiers of the US and UK army still wear garance red uniforms on special ceremonial occasions. 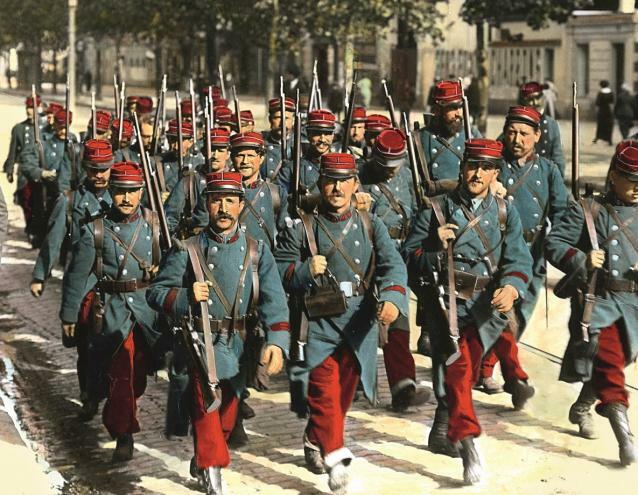 French infantry soldiers, anno 1914. But back to Africa. When the French conquered mainland Ivory Coast at the end of the 19th century, the indigenous population was quickly overpowered due to the superior military strength of the invading force. The brightly colored trousers of the French soldiers unsurprisingly did not fail to leave an impression on peoples such as the Dan and Wè. As this alien type of cloth became associated with power, mask wearers tried to obtain fragments of it to include in their costumes. One can sometimes find small strips of it attached to masks – or as in the example above, on a Wè miniature mask, where a small piece hangs from the left pierced ear (probably the right ear once had a similar strip). Such small masks were used to secure the consent and support of the supernatural world through the mediation of the ancestors. With these miniature masks the living strove to please their ancestors to make them positively sympathetic towards their acts. One way of pleasing them was by attaching all kinds of paraphernalia to them – each being very symbolic. Another foreign material one often can spot are glass beads – probably easier to obtain than a soldier’s pants. ps many thanks for all your kind emails; both mother and daughter are doing very well. This entry was posted in Research and tagged Dan, We on August 31, 2015 by admin. A friend recently gave me the above mask. It looks like a Dan mask from Ivory Coast. Unfortunately it doesn’t have much provenance; my friend himself had bought it at a dealer in Paris, a certain Pierre Hermé. A striking feature are the large tube-like eyes; their rim is decorated with a whitish substance. As the oval mouth, the eyes are closed. The mask’s size, 28 cm, however, is too large to make it a miniature mask. The bulbous forehead is a clear influence of the Wè, the Dan’s eastern neighbors (also called Gere or Kran). The vertical scar on the overhanging forehead attributes this mask to the Southern Dan. The cheeks of the mask have several small holes – an unusual element. The nose is triangular-shaped, with vaguely indicated nostrils. 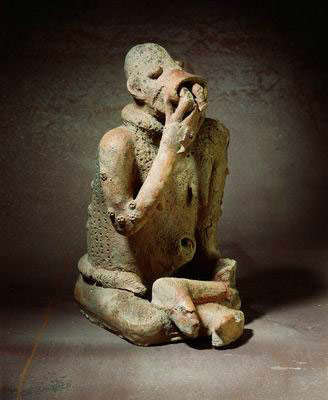 The lips of the big mouth apparently were subject to ritual scrapings. The mask is partly covered with an encrusted sacrificial layer, consisting of an unidentified brownish powder. 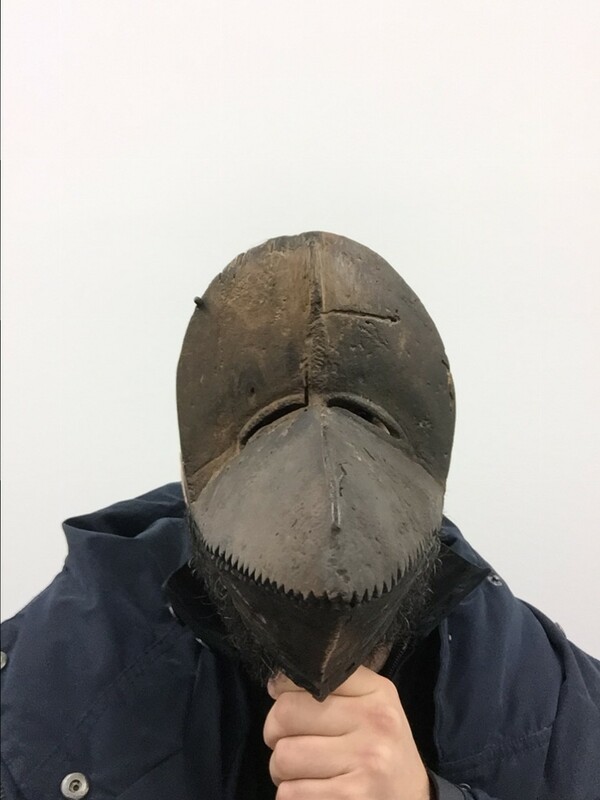 Since the form of a Dan mask did not necessarily determined its function, it is not easy to say something about its original use. Each mask could fulfill different roles within the village; there was hardly any social activity which did not feature the involvement of a mask. It is only possible to make statements on the use of a mask when information regarding its in-situ history is available. 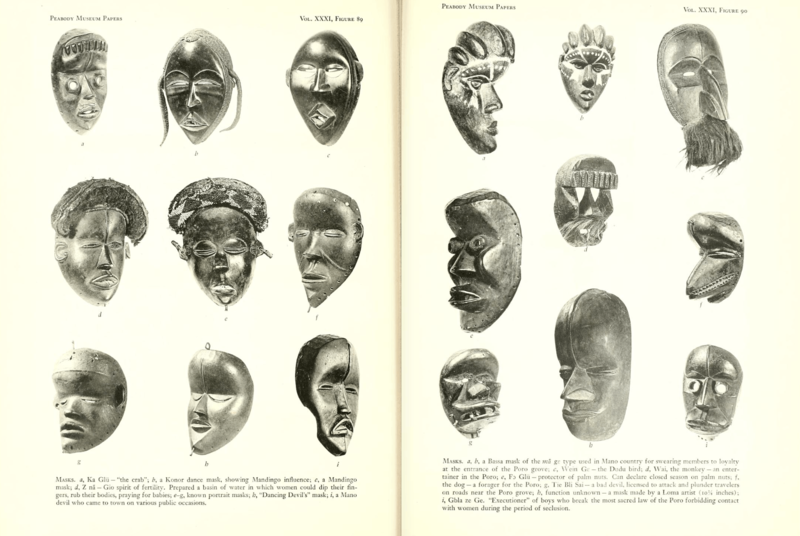 It is important to note that the character, status and function of these masks could change during the life of their owner. Just as a person might climb the social ladder, so too could a mask ascend in rank. An entertainment mask, for example, could in time transform into a law-giving mask. Although the appearance of a mask did not change substantially throughout the years, its reputation and prestige often evolved with its age. 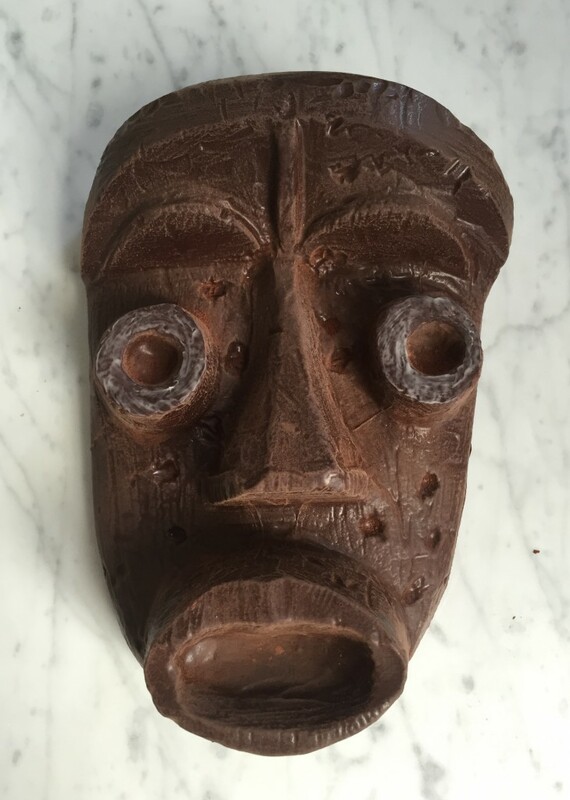 I don’t want to hurt my friend’s feelings – as we say in dutch, you don’t look a gift horse in the mouth – but I think this mask is a well-executed fake; the faker used the wrong material: chocolate instead of wood ! ps after some sleuthing I was able to discover the chocolate maker’s inspiration..
Update: in fact Ivory Coast is a mass producer of cacao beans, but as this short Dutch documentary shows many farmers have never even tasted chocolate.. This entry was posted in Objects and tagged Dan on February 2, 2015 by admin. 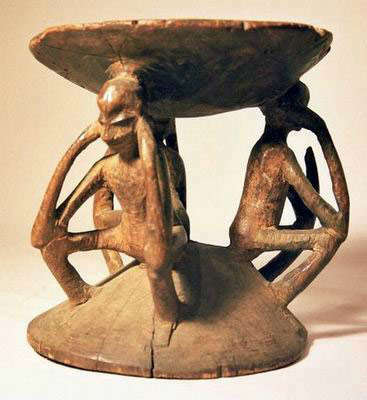 Kran figure (Liberia). Height: 52,7 cm. Image courtesy of Sotheby’s. The beautiful female figure shown above was part of the Myron Kunin collection and listed in the catalogue as Dan. A client asked me to do some research on it before considering to bid on it and I hereby gladly share my findings. Although Sotheby’s mentioned none, I was able to discover a handful other figures from this workshop. Distinctive for this style is the treatment of the face and the particular position of the hands: one horizontal, one vertical – unique for this type of sculpture. Only the height of the neck, shape of the breasts and scarifications on the torso differ among the different sculptures from this workshop. Similar details, such as the rendering of the toes, among all figures, could indicate that they in fact were all the work of one single artist, but without handling the statues, it’s of course not possible to come to a definitive conclusion. 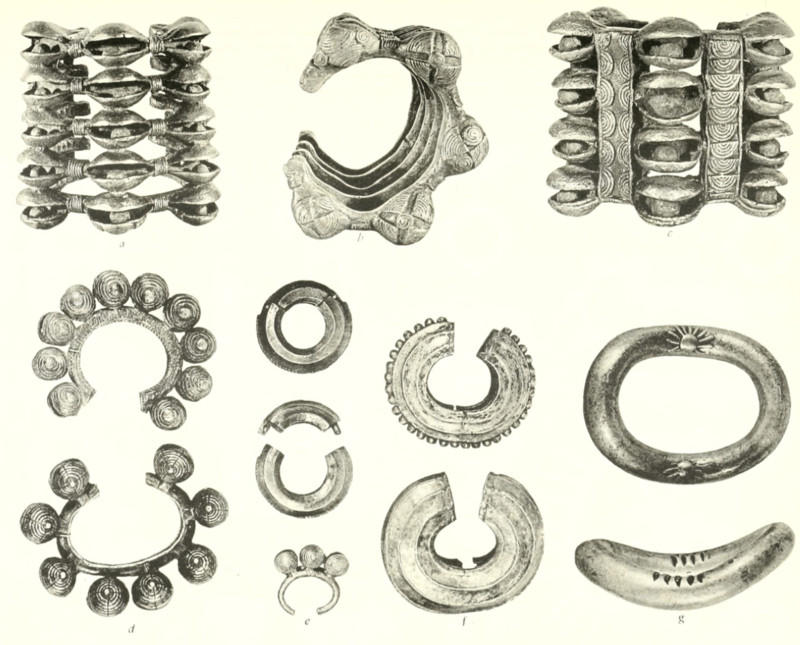 My research became interesting when I discovered the above figure in the collection of the Peabody Museum of Archaeology and Ethnology at Harvard University. 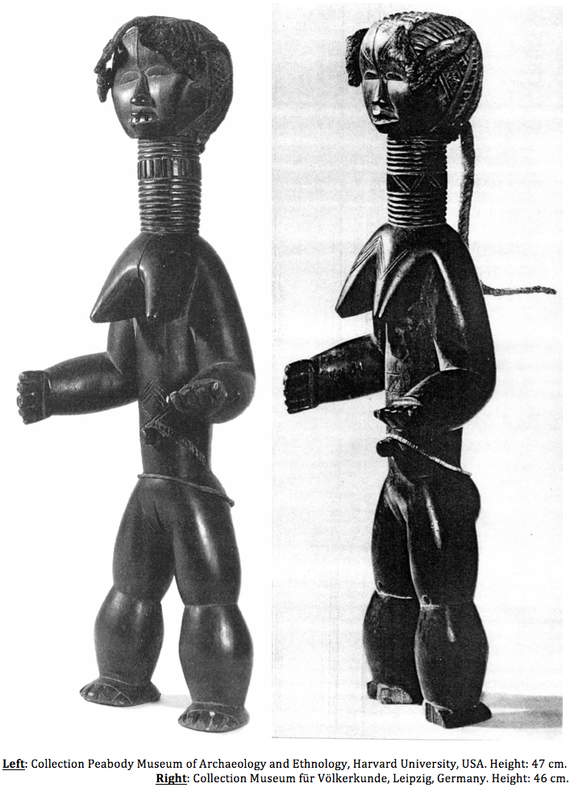 The museum’s archives hold an old picture of this female figure, taken by Frederick P. Orchard (based in Liberia) and indicating a precise geographic origin for that figure: Towai in the Kwida Section of Liberia, on the border with Ivory Coast. 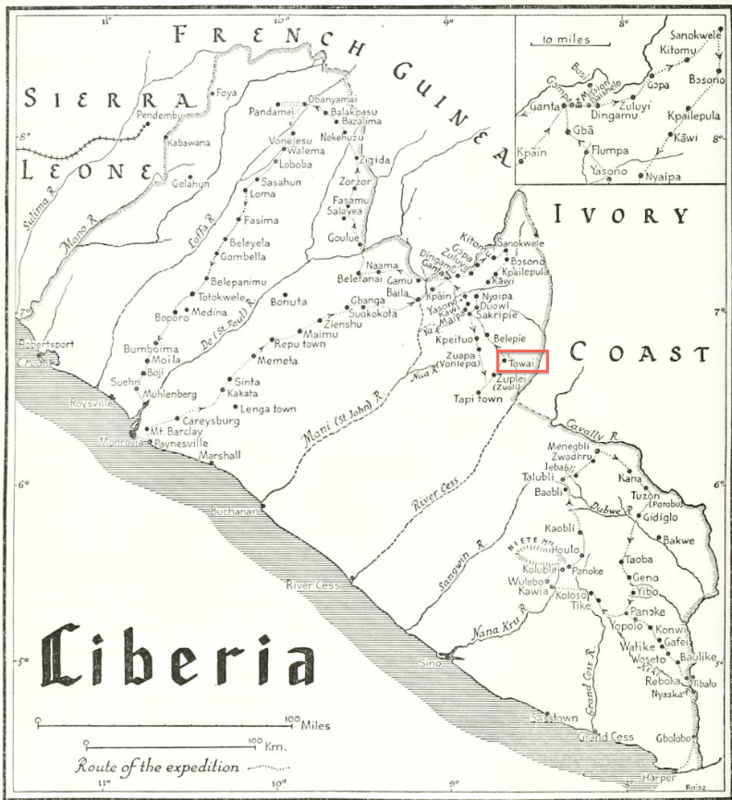 I was able to locate this place on a map in Schwab & Harley’s Tribes of the Liberian Hinterland (which I discussed recently here) – Towai is indicated in red on the map below. Comparing it with the map from the same book concerning the different peoples living in the area, it became clear this was not Dan, but Kran territory! 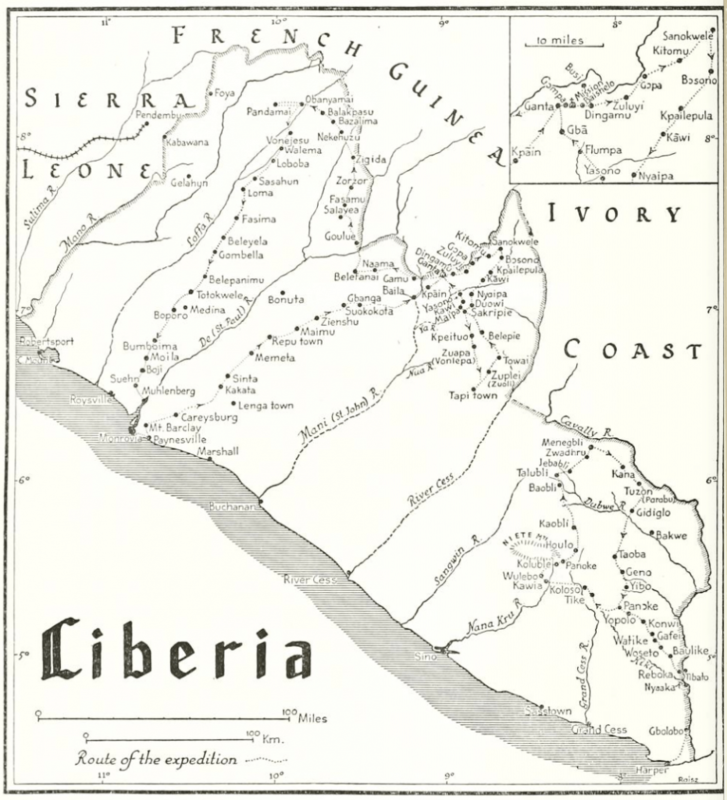 The Peabody figure was also published in Tribes of the Liberian Hinterland (1947, fig. 71) with the note: “wooden figure by a Kran man”, so the Kran provenance for the figures of this workshop hereby got confirmed. 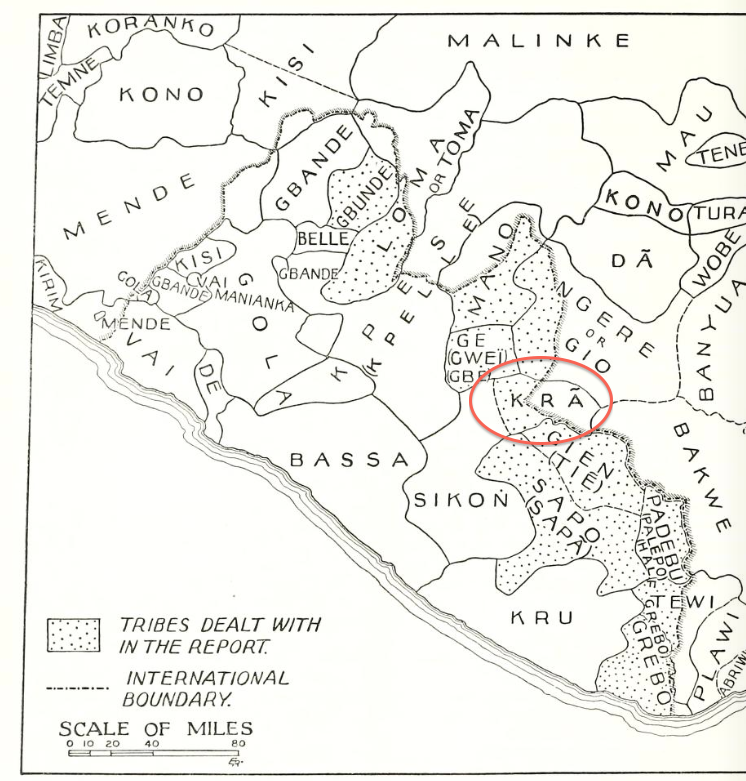 The Dan (‘Ngere or Gio’ on the above map) do lived close by of course. It’s interesting to know that, among the Mano and Dan, the Kran had the reputation of being the best sculptors – so it’s not unlikely Dan patrons commissioned this talented Kran artist to make figures for them. A Kran couple. Image courtesy of Boris Kegel-Konietzko, Hamburg. This entry was posted in Auctions, Objects, Research and tagged Dan, Kran on November 25, 2014 by admin. Various Dan, Mano, Bassa, Toma, Kpelle (and others) miniature masks from Liberia and Ivory Coast. On loan to the Yale University Art Gallery from the James J. Ross collection. Image: BC, November 2009. 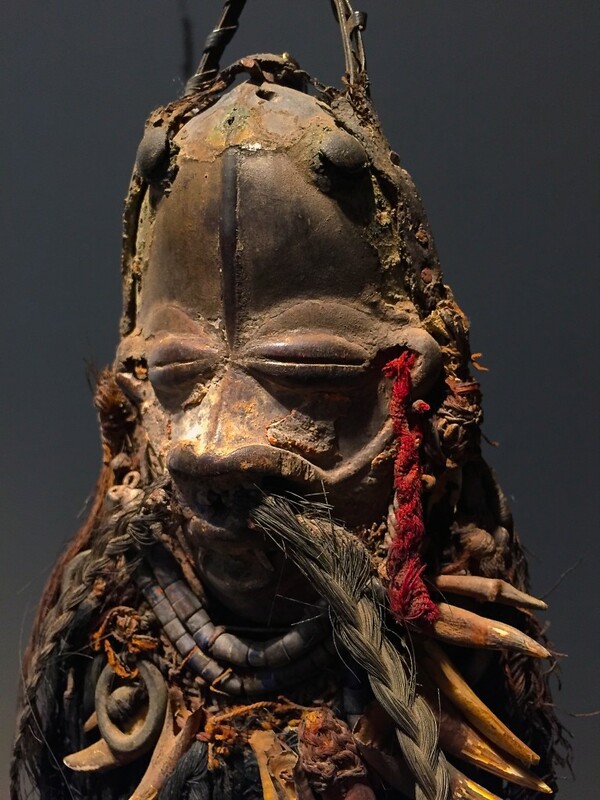 Despite the huge amount of literature about the dominant role masks play in the culture of the Dan, there are still a lot of misconceptions about the nature and function of their miniature masks. The short essay below describes the findings of Pieter-Jan Vandenhoute’s fieldwork among the Dan in 1938-39 and was written by me for Refined Eye, Passionate Heart: African Art from the Leslie Sacks Collection (info). 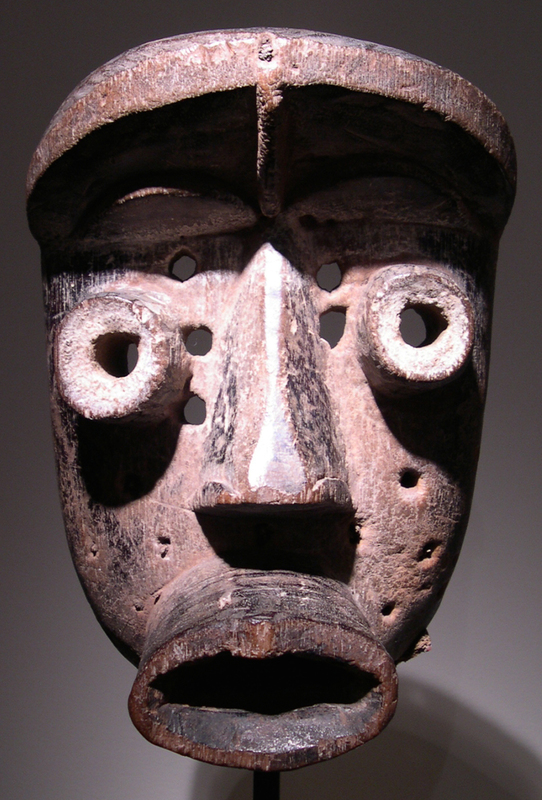 The Dan of the Ivory Coast called these little masks nyonkula or ‘substitute for the ancestors’. Literally this can be translated in ‘ancestral spirit’ or ‘wooden dish’, refering to the possible stuffing of the back with magical ingredients. Because of the small measures, these masks mainly served an individual and private use. Sometimes they were called genone; literaly ‘small mask’ or ‘child of the mask’. This reduced size only had a practical reason and the specific shape of the mask had no influence on its function. These miniature masks were kept hidden from public display. Woman and uninitiated boys were not allowed to see them. Nyonkula replicated the variety of existing Dan face masks, although the feminine mask-type with narrow eyes predominated. Sometimes these small masks replaced a larger one, notwithstanding they certainly were as powerful. Although they always coexisted, the production of small masks probably was facilitated by the colonial authorities imposed ban on the use of larger face-masks. The artistic quality of these small masks widely difered. They were considered easy to carve, so many attempted to it. As the three examples in the Sacks collection show, well-carved and well-treated nyonkula can be miniature works of art, having acquired a fine patina from being ‘fed’, rubbed with oil, and carried around for a long time. 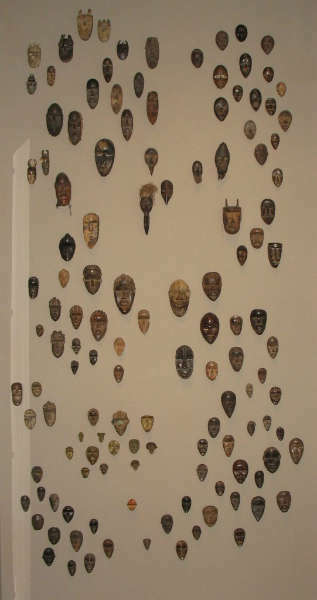 The Dan used these small masks to secure the consent and support of the supernatural world through their ancestors. These ancestors were the direct representatives and mediators of the living in the supernatural world, primarily for their own relatives. With these miniature masks the living strove to please their ancestors to make them positively sympathetic towards their acts. At the core of this cult was the private sacrifice on the mask. The nyonkula were activated by ‘feeding’ them: imposing, rubbing or attaching all sorts of specific offerings, raw or prepared food, beverages, tobacco, palm oil, palm wine and blood of sacrificed animals. 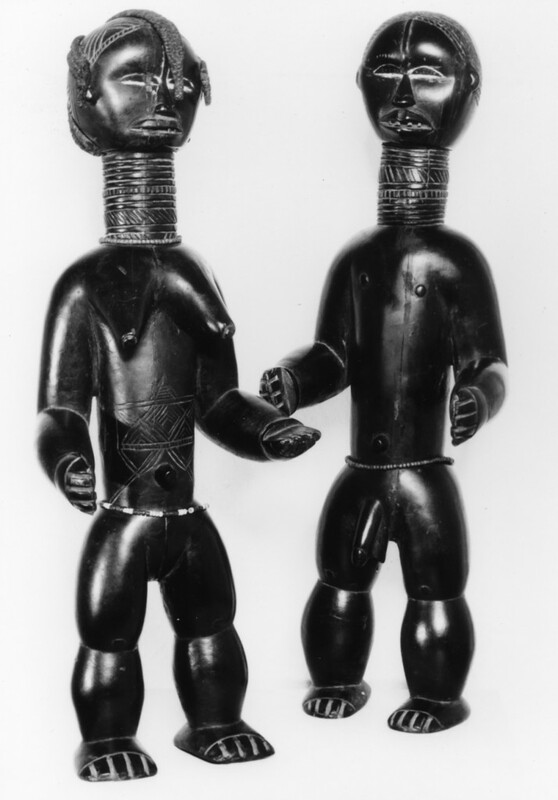 Next to the daily spitting or tossing of chewed or split kola nuts, offerings were made for a favourable outcome in all current affairs, such as hunting, trapping, discussions, etc., or to find out whether the ancestors agreed with a certain endeavor. For more important matters, such as illness, death, and voyages, the consulted native priest would determine the nature and measure of the offerings. Disease and infertility of land or women were the most common causes. During these rites the repeatedly reciting of improvised formulas explained and clarified the desired end. The gifts were donated to the mask as an intermediary, but were for the deceased ancestor. Those who possessed a nyonkula always carried it with them in the village or while travelling as a protective charm. In time, nyonkula, just by their presence, also were accredited with a repellent and protective force. After a while, the distinction between the ancestral offerings and the sacrifices for the mask itself completely vanished. Sometimes the offerings were for the intermediating ancestors, sometimes it was the wooden mask itself who was the recipient of the sacrifice. Both aims were equally worthy and it happened all too often that both causes were simultaneously honored during the same offering. This entry was posted in Publications, Research and tagged Dan on January 2, 2014 by admin.